Welcome to our Pokemon Lets Go Stats, IVs Individual Values, and Max CP Explained. Below we explain what each Stats HP, Attack, Special Attack, Defense, Special Defense, Speed do. We also go into detail about MAX CP and how Pokemon Lets Go IVs affect the CP total. There are a total of 7 Pokemon Lets Go Stats players should be aware of when choosing the right pokemon. Below we will explain how each one works and how they affect your Damage, Defense and ability to take damage from enemy pokemon. HP (Hit Points) – The amount of damage a Pokémon can receive before fainting. 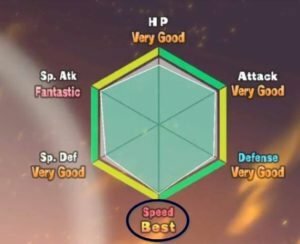 Attack – The amount of damage a Pokémon deals when using a physical move. Defense – The amount of damage a Pokémon receives when it is hit with a physical move. 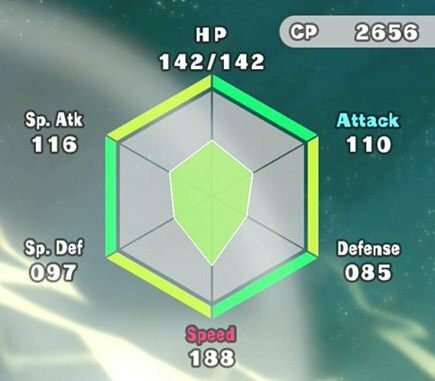 Special Attack – The amount of damage a Pokémon deals when using a special move. Special Defense – The amount of damage a Pokémon receives when it is hit with a special move. Speed – Pokémon with higher Speed at the start of any turn will generally make a move before ones with lower Speed. CP (Combat Power) – This stat that indicates a Pokémon’s capability in combat. CP’s value is derived from all of the other stats combined. Pokemon Lets Go Individual values abbreviated as IVs are how players determine if they have a strong Pokemon that is worth Leveling Up. 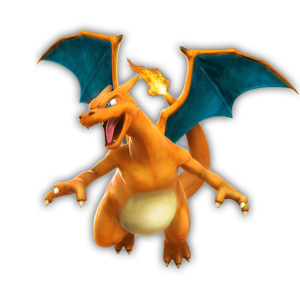 IVs are based on the base stats, such as Attack, Defense, Speed, Special Attack, Special Defense. Each stats goes up to a Maximum Value of 31 and having a maxed out stat is Flawless. So for example, if my Charmander is a Flawless 4 IV, that means that 4 of 6 of his stats are Perfect at a maximum value of 31. You will need the IV Judge and can be acquired in the guard tower Between Route 11 and 12 from Professor Oak’s aide NPC. You need to have caught 30 species of Pokémon (30 Total Registered in the Pokedex ) and you will acquire the IV Judge. 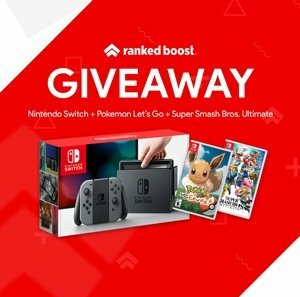 You will start to see the words “Best” “Very Good” and others to describe your pokemon when checking the pokemon’s summary screen and pressing (Y). First, you will need lots of “Pokeballs” as you are going to start Chain Combo Catching the pokemon you want with Flawless IV’s. So whats Chaining and how to do it is pretty easy, you just need to find a zone with a high spawn rate of the pokemon. Then just capture that same pokemon over and over again, if you encounter another Pokemon by accident just ran away so you don’t break your current Combo Catch Chain. After you reach a Catch Combo Chain of 31 you are guaranteed at least 4 out of 6 Flawless IV’s, if you want the full 6 Flawless you will be grinding and hoping it will spawn. Pokemon Lets Go Max CP is an easy way to determine how powerful your pokemon will be in combat. Three of the same pokemon can have a different MAX CP Stat, this is why it will be important to pay attention to this and its IVs to make sure you are using the best one out of the three. Species – The Pokemon itself may naturally have higher CP than other weaker Pokes. IV’s (Individual values) – These are each Pokemon Lets Go Stat, such as Attack, Defense etc. Level – The higher the level the more stats, which means your Pokemon Lets Go Max CP will be overall higher.